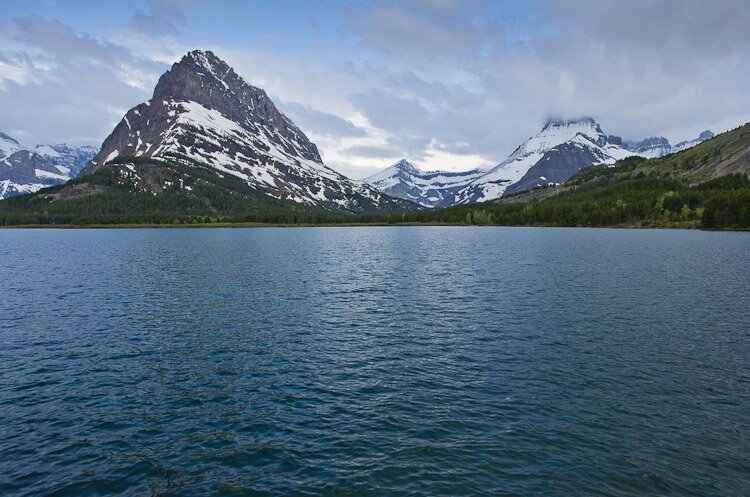 In the spring, Many Glacier can be difficult to photograph. 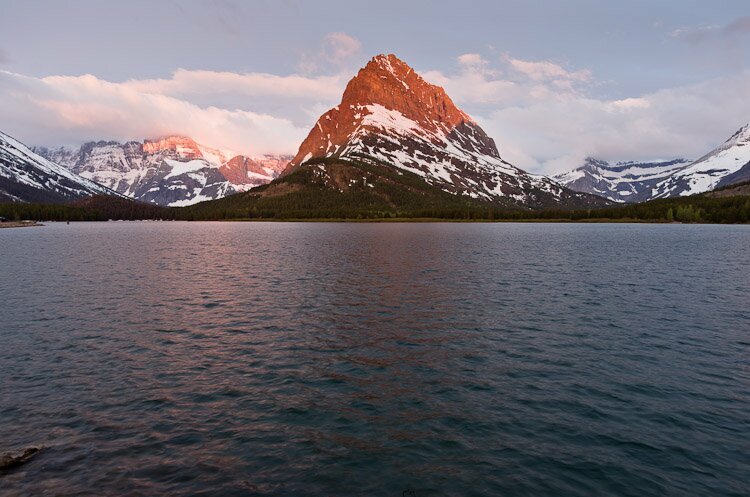 Much of the east and south sides of Swiftcurrent Lake are closed due to rehabilitation work on Many Glacier Lodge. Back country trails are covered in snow and infested by bears. And there are hardly any services available until the last week or two of spring. Yet Many Glacier can be exquisitely beautiful in the spring, when there is a great deal more snow decorating its peaks.